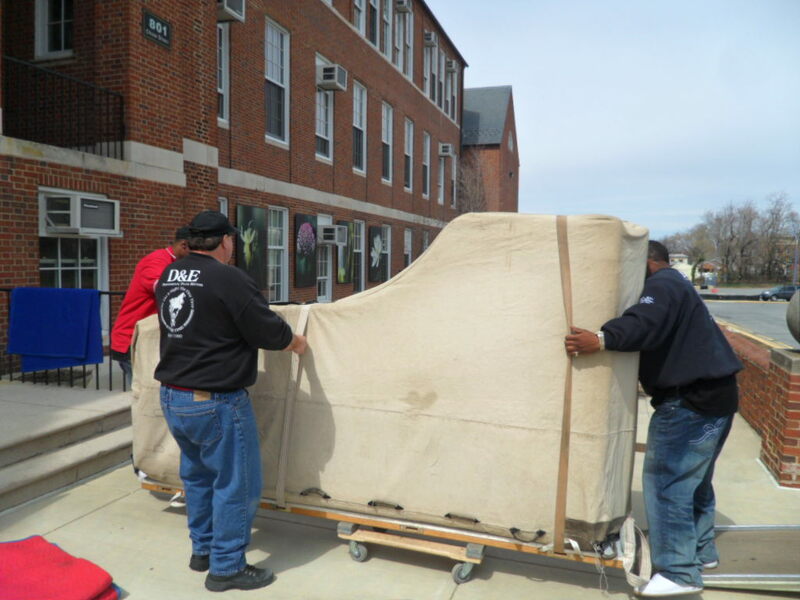 When you hire a professional piano mover, you can expect 2-3 people to come to your home equipped with piano skids, moving pads, ramps, slings, and the knowledge of how to move your piano safely. They will use special techniques to maneuver the piano out of your house. 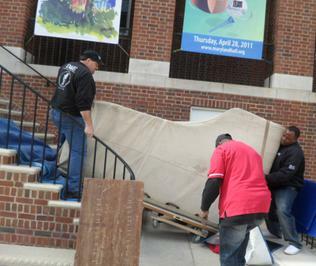 When the piano is put on the truck, it will be safely secured to the vehicle in order to avoid damage during transport. In the most difficult moves, 4-6 people may be used. Generally when a piano is moved by someone other than a professional piano mover, this equipment, knowledge and these safety precautions are not employed. While hiring a professional piano mover does not completely eliminate the risk of damage, it will drastically reduce this risk. Furthermore, a good piano mover will assess the situation and inform you if there is a chance of damage before he or she begins the move, and will give you the option of proceeding or not. Q&A Page for more information. Other instruments/Items we specialize in moving: Harps, Harpsichords, Digital Keyboards, Xylophones and more!